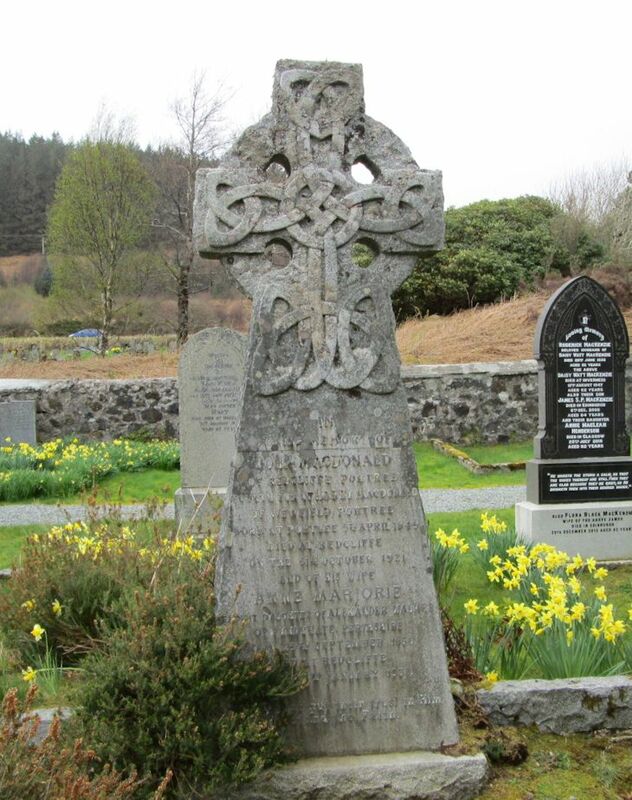 Skye Gravestones | John & Anne (Walker) MacDonald. John & Anne (Walker) MacDonald. In/loving memory of/JOHN MacDONALD/of Redcliffe Portree/fourth son of HARRY MacDONALD/of Viewfield Portree/born Viewfield, Portree 5th April 1849/died at Redcliffe/on the 31st October 1921/and of his wife/ANNIE MARJORIE/eldest daughter of ALEXANDER WALKER/of Fyndynate Perthshire/born 29th September 1856/died at Redcliffe/on the 23rd January 1938. They that put their trust in Him/shall understand the Faith.